Cebu is one of, if not the oldest, colonial province and the oldest city in the Philippines. 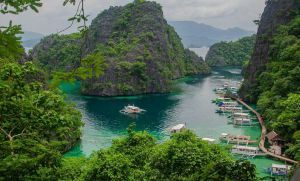 Local and international tourists alike can trace back the history of Cebu by engaging in one of the guided city tours and heritage walks, although it’s possible (and perhaps more fun) to take on adventure tours solo or in a small group. A typical historic city tour takes guests to some of the popular historic landmarks via bus, hired van or horse carriage. It usually starts at Plaza Independencia beside the city’s Pier 1 where the oldest yet smallest fort, Fort San Pedro is located. The Plaza Independencia is a spacious park with old, massive acacia trees and minimalist landscape. It is a welcoming avenue for guests who usually want to see the triangular historic Fort San Pedro right in the heart of the park. Next in line is the Basilica del Sto. Niño Church, located a few blocks from the Fort. Cebuanos hold its annual fiesta, Sinulog Festival, every third week of January in honor of Sr. Sto. Niño. Sinulog is one of the most colorful and festive events celebrated in the Philippines, flocked by both local and international tourists. Just outside the Basilica’s gates lies the renowned Shrine of Magellan’s Cross. This was supposedly what remains of the cross planted by Ferdinand Magellan when he and his fleet landed on the shores of Cebu in 1521. Across the Shrine is the Cebu City Municipal Hall, the seat of the city mayor. Also a few blocks to the north lies three historic sites and landmarks – Parian Monument, San Diego Ancestral House and Casa Gorordo Museum. The Parian Monument depicts the struggle of the Filipinos during their battle against the Spanish colonizers, as well as the modern day challenges and victories of the people. Across the monument is the San Diego Ancestral House owned by a famous Spanish-Filipino family. It’s mysteriously old, made of whole timbers, ancient wood planks and bricks, and inside it are displays of various antique items owned by the San Diego family. A stone’s throw away from the San Diego House is the Casa Gorordo Museum, a Spanish colonial museum that houses many artifacts during the 19th century. It is currently under construction, but will soon be open to the public in a couple of weeks. Other sites included in the Cebu City Tour are the Taoist Temple in Beverly Hills that offers breathtaking view of the city below and the nearby upper class neighborhood, the hill top tourist spots in Busay such as Tops, Mountain View Resort, Lantaw Restaurant, and the newly opened Temple of Leah that features Greek architecture. Many of the historic landmarks and sites included in the City Tour can be visited on foot. Guests who don’t mind the humidity and the heat may take the Heritage Walk and venture the old street of Colon, the busy street of Manalili and other equally bustling streets within the eastern portion of Cebu City in order to visit various tourist spots in the area. A typical Heritage Walk may be started at the Fort San Pedro, then to Magellan’s Cross, then to the Basilica. Then one can take a walk along Colon Street, the oldest street in the Philippines, and turn to the Cebu Metropolitan Cathedral Church, which is equally serene and historic as its neighboring church, the Basilica. Right across the Cathedral is the Cathedral Museum of Cebu, ecclesiastical museum of the Roman Catholic Archdiocese of Cebu. Two blocks away from the Cathedral Museum is the Parian Monument and the San Diego House. After which, one may walk further to the left and visit Casa Gorordo. Down the main highway of MJ Cuenco Avenue, a block away from Casa Gorordo lies the Museo Sugbo, the Cebu Provincial Museum located in the former Cebu Provincial Detention and Rehabilitation Center. The Museo Sugbo is four blocks from Plaza Independencia to the northeast – which then signals the Heritage Walk has come full circle. Cebu City is just one of the cities of the Province of Cebu. There are other historical sites and ancient landmarks scattered throughout the province particularly in the southern municipalities of Naga, Carcar, Sibonga, Barili, Boljoon, Aloguinsan and Santander, as well as in the northern municipalities of Danao, Catmon, Tuburan, Tabuelan, Bogo and Medellin. 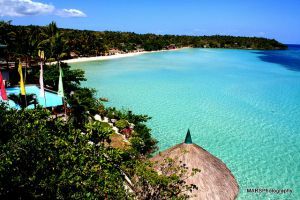 The Province of Cebu offers a guided and organized provincial tour called Suroy-Suroy Sugbo that takes guests to different tourist destinations throughout the province including beach and island spots of Camotes and Bantayan Islands. I’ve never been to Cebu, but seeing this makes me appreciate the place and its history.